URBAN unveils the City and its secrets - Vol. 04, an overview of City stories told through street photography. 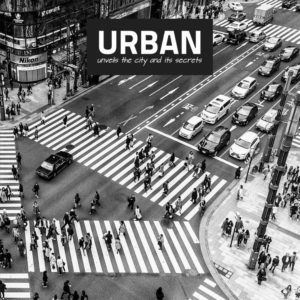 URBAN unveils the City and its secrets Vol. 04 contains 127 phtotographers ranked at URBAN 2018 Photo Awards. The aim of this editorial project dedicated to street photography is to provide the reader with an overview of stories told through images. 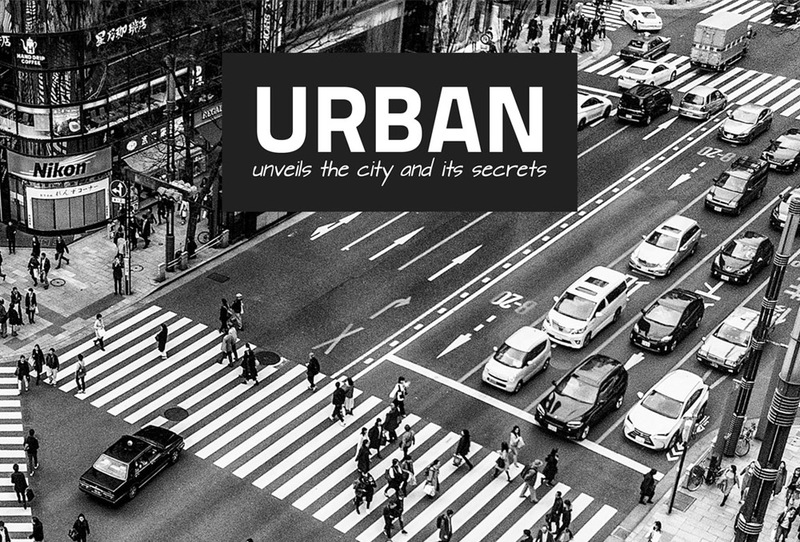 These images have in common an element which is either obvious or just hardly visible, and all together they make up an organic collage that reveals the City and its secrets. The book will be presented at Trieste Photo Days on Saturday October 27, 2018. Want to buy a copy at 20,00 € + shipping fees? Write at info@dotart.it. Bank transfer to dotART – IBAN IT87J0335901600100000010209 – BIC/SWIFT Code: BCITITMX (please add: "Unveils 4 + Your Name"). Books will be delivered in November 2018. Photos by Alain Schroeder (Belgium), Alessandro Marcello (Italy), Amir Lavon (Israel), Anat Shushan (Israel), Andrea Alberti (Italy), Andrea Zachrau (Germany), Angelo Barbuto (Italy), Angiolo Manetti (Italy), Antonio Larghi (Italy), Antonio Tartaglia (Italy), Attilio Bixio (Italy), Bart De Bock (Belgium), Betty Press (USA), Bourriau Dimitri (France), Celia Ruiz De Castilla (Australia), Christiaan Hart (Hong Kong), Colin Page (Great Britain), Corinne Serafini (Italy), Damian Milczarek (Poland), Daniele Bellucci (Italy), Daniele Rossi (Italy), Daniele Stefanizzi (Italy), David Curtis (Great Britain), Davide Paoli (Italy), Deba Prasad Roy (India), Diego Di Guardo (Italy), Dominika Koszowska (Poland), Doron Talmi (Israel), Eddie Wexler (USA), Elide Cataldo (Italy), Emanuele Bissoli (Italy), Eric Davidove (USA), Fan Li (France), Fiorenzo Rosa (Italy), Flacau Florin (Romania), Francesco Canova (Italy), Francesco Fredella (Italy), Giancarlo Rupolo (Italy), Giancarlo Staubmann (Italy), Gianni Boradori (Italy), Giedo Van Der Zwan (Netherlands), Giorgia Ivone (Italy), Giuliano Mazzanti (Italy), Giulio Alesse (Italy), Giulio Fabbri (Italy), Giuseppe Cardoni (Italy), Guido Caltabiano (Italy), Hanqing Qu (China), Harry Aaldering (Netherlands), Henning S Pettersen (Norway), Ignasi Raventos (Spain), Jan Bolten (Germany), João Coutinho (Portugal), Josephine Caruso (Italy), Josip Miskovic (Italy), Kelly Costantini (Italy), Kristin Bedford (USA), Krzysztof Cwik (Poland), Laura Zulian (Italy), Le Guyader Ludovic (France), Leka Huie (Hong Kong), Licari Alain (USA), Liliana Ranalletta (Italy), Lucia Laura Esposto (Italy), Lukasz Zietara (Poland), Lydia Ho (Malaysia), Magda Chudzik (Poland), Marco Di Vittorio (Italy), Marco Tagliarino (Italy), Marina Koryakin (Israel), Mario Filabozzi (Italy), Mark Phillips (Great Britain), Maryse Dardaillon (France), Massimiliano Vecchi (Italy), Massimo Alfano (Italy), Massimo Padoin (Italy), Mathias Wasik (USA), Mauro De Bettio (Italy), Max Sturgeon (USA), Md Enamul Kabir (Bangladesh), Michele Ginevra (Italy), Mitja Kobal (Slovenia), Mitja Kobal (Austria), Monia Marchionni (Italy), Naoki Fujihara (Japan), Nicola Bertellotti (Italy), Nik Brezginov (Russia), Olga Kardashova (Russia), Olgierd Kajak (Switzerland), Oreste Girotto (Italy), Orlando Morici (Italy), Paolo Maggi (Italy), Paolo Mangoni (Italy), Pedro Luis Ajuriaguerra Saiz (Spain), Qui Thinh Tran (Viet Nam), Ranu Jain (United Arab Emirates), Rebecca Wiltshire (Australia), Riccardo Pesaresi (Italy), Roberta Grubelli (Italy), Roberto Biagi (Italy), Roberto Corinaldesi (Italy), Roberto Pireddu (Italy), Roberto Zerbini (Italy), Roger Grasas (Spain), Roman Robroek (Netherlands), Rudolf Sulgan (USA), Samuel Dossi (Italy), Sandro Di Camillo (Italy), Sara Jazbar (Italy), Sara Munari (Italy), Sebastiano Ciancio (Italy), Sebastien Durand (France), Sébastien Leban (France), Sergio Aresi (Italy), Sergio Redolfi (Italy), Sevil Alkan (Turkey), Sidar Sahin (Great Britain), Silvia Paulin (Italy), Silvio Crisóstomo (Brazil), Sophia Beaki (Greece), Stefano Lista (Italy), Tristan Lavender (Netherlands), Valentina Bollea (Italy), Verreyken Frank (Belgium), Viet Van Tran (Viet Nam), Viraj Bunnag (Thailand).